You’ve got questions and we’ve got answers. This FAQ list will be updated consistently over the next few weeks, so make sure to check back for more information! This product is being developed under the official licensing program for PlayStation® by Sony Interactive Entertainment and is subject to Sony Interactive Entertainment’s final product approval. 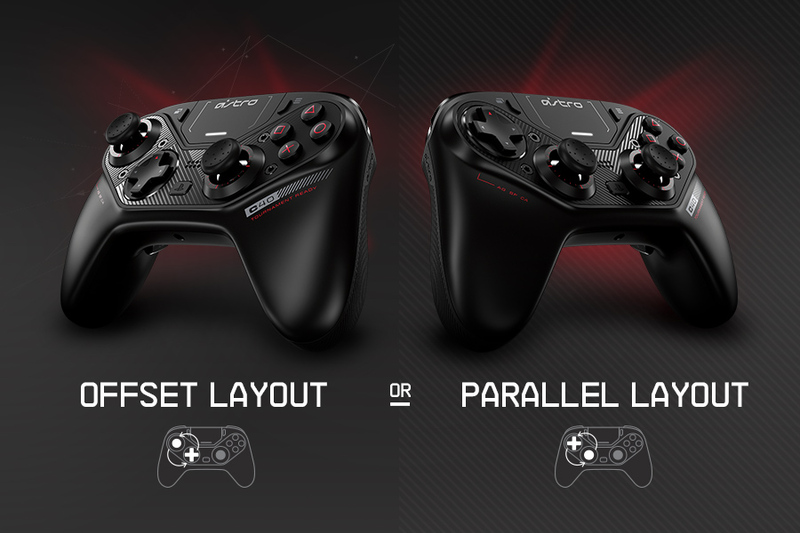 Some features and information in this FAQ may change before launch of the C40 TR Controller. A: Our current initial shipping time frame for C40 TR Controller preorders is early 2019. Non-pre-orders ship within 48 business hours from the time the orders is placed (as long as it is in stock). Pre-order items will ship as soon as they are in-stock. Where you see a product listed for pre-order, we also state an expected in-stock date. Shipping dates will vary by product. Upon shipment you will receive a shipping confirmation email including shipment tracking information. Orders containing both pre-ordered and in-stock merchandise will be shipped separately in an effort to deliver your product as quickly as possible. You will not be charged for multiple shipments. Multiple shipping confirmation emails will be sent for purchases with in-stock and pre-ordered items. A: Your credit card may be charged one or two business days before your product ships. Please note that you will see an authorization charge (for the amount of your order total) on your credit card statement from the time of purchase until your order ships. If your order contains both pre-ordered and in-stock merchandise, you will see multiple settlements – each charge to represent the cost of the shipped merchandise. If you placed your order through PayPal, you will be charged immediately upon purchase. A: The charge will appear on your credit card as: “DRI*Logitech Store”. Q: Who can I contact if I have questions about my order once I receive it? A: For technical assistance for your product, please visit our Support Site. If you have questions pertaining to your order you can contact us at https://www.astrogaming.com/contact/ If you have any billing questions regarding your order, please contact us at https://www.astrogaming.com/contact/. A: Yes, you can cancel your pre-order by contacting our customer service team. Please have your order number ready for fastest service. You can find our customer service contact information here. Q: What is the return policy for pre-order products? A: Pre-order products have a 30 day refund policy from the day the product ships. 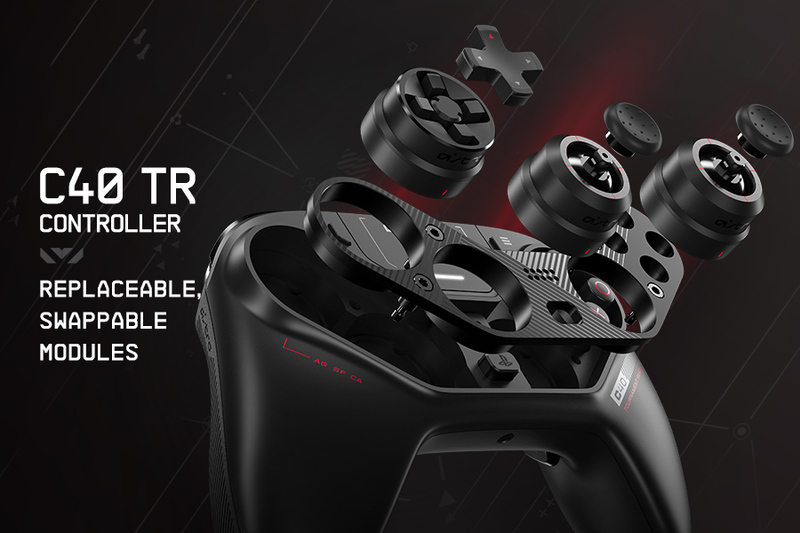 Q: Where is the C40 TR Controller available? A: The controller is available for pre-order in the United States and Canada through the http://astrogaming.com and http://astrogaming.ca websites. It is also available for pre-order through Amazon, Best Buy, Best Buy Canada, and GameStop, and will be available through physical retail locations later in 2019. Q: Can I find the C40 TR Controller at Amazon, Best Buy, GameStop, or other retail outlets? A: Pre-orders for the controller at Amazon, Best Buy, Best Buy Canada, and GameStop are currently open with an early 2019 release schedule, followed by in-store availability at a later date. Q: Will this be available in my region in the future? A: The controller is currently licensed with Sony for availability in the USA, Canada, and Latin American markets. 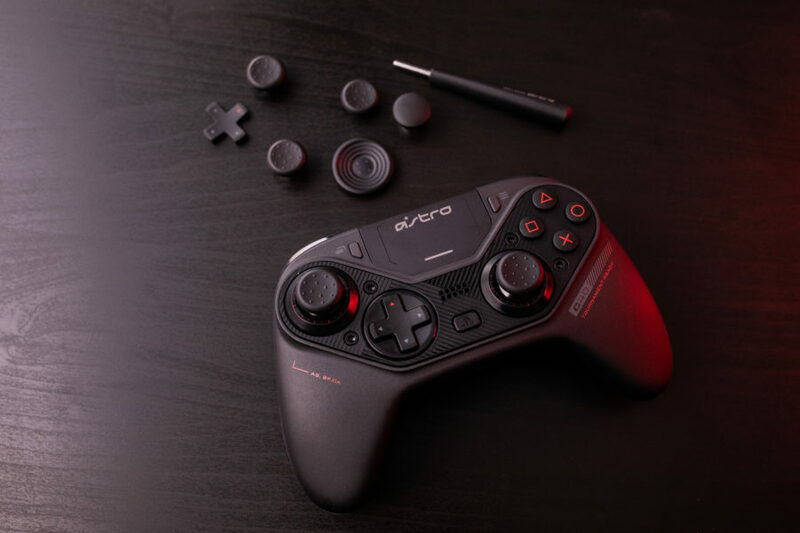 Q: What is included with the C40 TR Controller? Q: What is the approximate battery life? 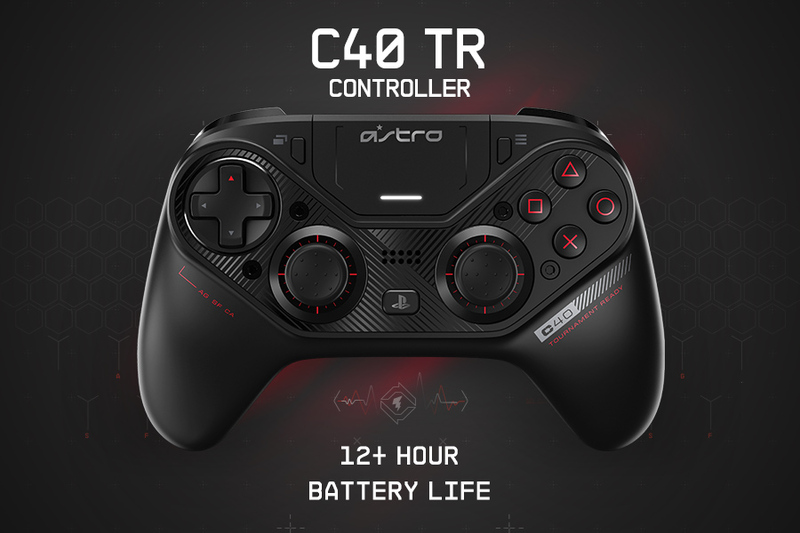 A: The C40 TR Controller is rated for 12+ hours of continuous gaming, and can also be switched to a wired configuration to recharge while in use. Other factors such as rumble intensity, audio output volume, and LED brightness will affect battery life. A: The C40 TR Controller utilizes an internal Li-ion rechargeable battery, rated for approximately 500 charge cycles. This battery is not designed to be user replaceable. Q: Is there a battery replacement service? A: There is no battery replacement service, however the internal battery is rated for extended usage with approximately 500 charge cycles. Q: What is the wireless range? A: The C40 TR Controller has a wireless range of 32+ ft / 10+ m.
Q: What happens when the C40 TR Controller is out of range of the USB Wireless Transmitter? A: When the controller is out of range from the USB Wireless Transmitter and the connection is lost, the controller will stay active for a period of 10 minutes. After that time, the controller will power off. To reactivate the controller and synchronize with the USB Wireless transmitter, press the PS Home for 3 seconds. Q: Does the C40 TR Controller use Bluetooth? A: No, the C40 TR Controller uses a proprietary 2.4 GHz wireless connection with the included USB Wireless Transmitter, and does not utilize Bluetooth for connectivity. Q: What type of wireless signal does the C40 TR Controller use to communicate with the USB Wireless Transmitter? A: The C40 TR Controller uses a proprietary 2.4 GHz wireless connection with the included USB Wireless Transmitter. Q: Can the PlayStation be powered on by pressing the PS Home button on the C40 TR Controller? A: Third party peripherals do not have the capability to power on the PlayStation 4 console via the PS Home button. Q: What kind of audio does the C40 TR Controller output from the 3.5mm audio port? The USB connection (wired or wireless) will send 24bit, 48KHz pre mixed audio from either a PC or PS4 console to the controller audio port. The 3.5mm audio port will also send 24bit, 24KHz chat audio from the audio port back to the USB device. The 3.5mm output does not support any kind of Dolby, DTS, THX or other other surround sound processing on PlayStation. Q: What is the C40 Faceplate Tool and where can I find a replacement? A: The included faceplate tool is a 2.5mm hex tool. ASTRO replacements will be available through the Accessory section of our website after launch. Q: Is this an official Sony licensed product? Q: Will there be more faceplate or color options? A: We always have something awesome in the works. Stay tuned to the ASTRO newsletter and social channels for the latest product announcements. Q: Can I create custom faceplates? A: We do not offer the option to craft custom faceplates at this time. Q: How many C40 TR Controllers can be used with a PlayStation 4 at one time? A: Up to four controllers can be used simultaneously. A USB hub, which is not included, is required to connect a fourth controller. Q: Can I pair multiple controllers to a single USB Wireless Transmitter? A: No, only a single controller can be paired with each transmitter. Q: How many C40 TR Controllers can be used with a PC at one time? A: This is dependent on the number of available direct USB connections and game title support. We do not recommend more than four controllers connected wirelessly at a time due to the potential for wireless interference. Q: How much does the controller weigh? Q: What is the latency in wired mode? A: The official Sony specification is 5 ms.
Q: What is the latency in wireless mode? Q: How long is the warranty for the C40 TR Controller? A: The controller comes with a six month warranty from the original date of purchase. The modules have a three month warranty from the original date of purchase. 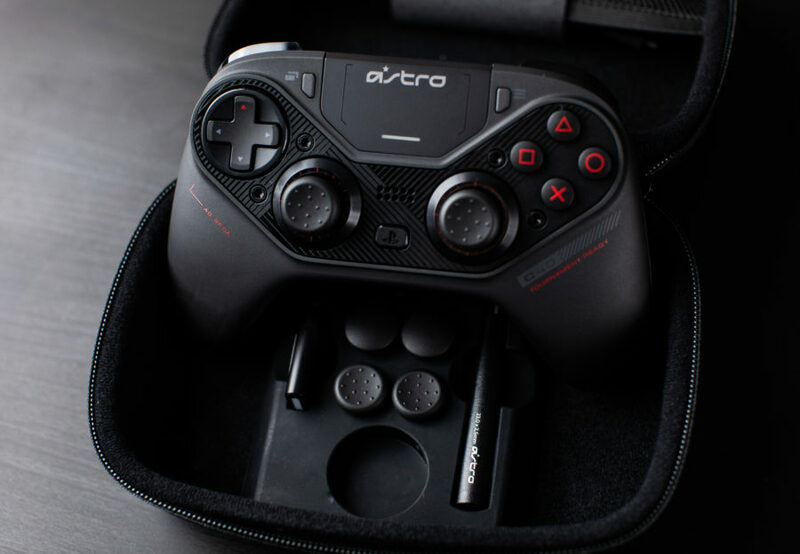 Should you have any trouble with your C40 TR Controller or accessories, please contact our Support Team for assistance at http://astrogaming.com/support. 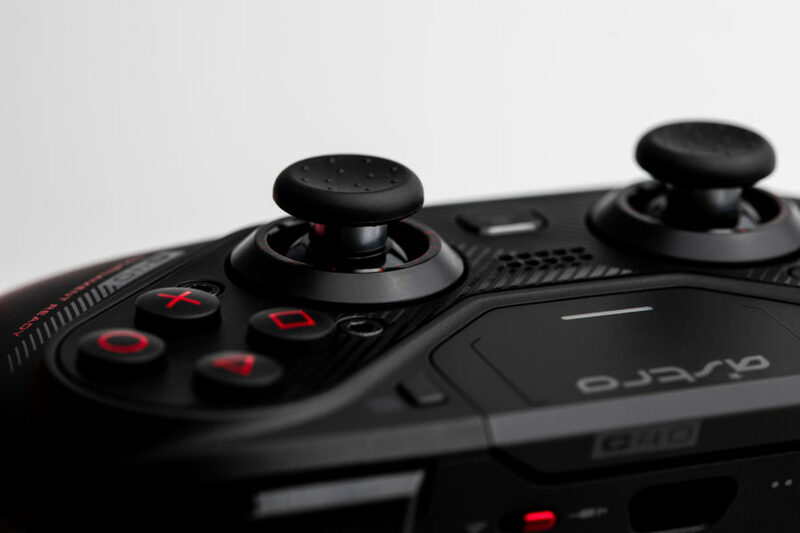 Q: How do I set up the C40 TR Controller with a PlayStation 4? Plug the USB Wireless into an available USB port on your PS4. A blue light will appear on the USB Wireless Transmitter. Q: How do I set up the C40 TR Controller with a PC? Plug the USB-A end of the micro-USB cable into an available USB port on your PC. Your PC will automatically read and install drivers enabling the C40 TR Controller for use. Plug the USB Wireless into an available USB port on your PC. A white light will appear on the USB Wireless Transmitter. Q: How do I use a headset with the C40 TR Controller? A: The C40 TR Controller includes a 3.5mm audio port. To connect a headset to your controller, plug one end of a 3.5mm audio cable into the 3.5mm audio port on your headset, and the other end into the 3.5mm audio port on the C40 TR Controller. To set mic and volume levels, hold down the PS Button to bring up the Quick Menu. Navigate to Sound/Devices and adjust your settings from the menu. Ensure Output to Headphones is set to All Audio. Q: Can I charge the new C40 Controller while gaming? A: Yes, you can charge the controller while using the controller in wired or wireless mode. Q: Will the C40 TR Controller charge when in wireless mode and connected to a USB power source? 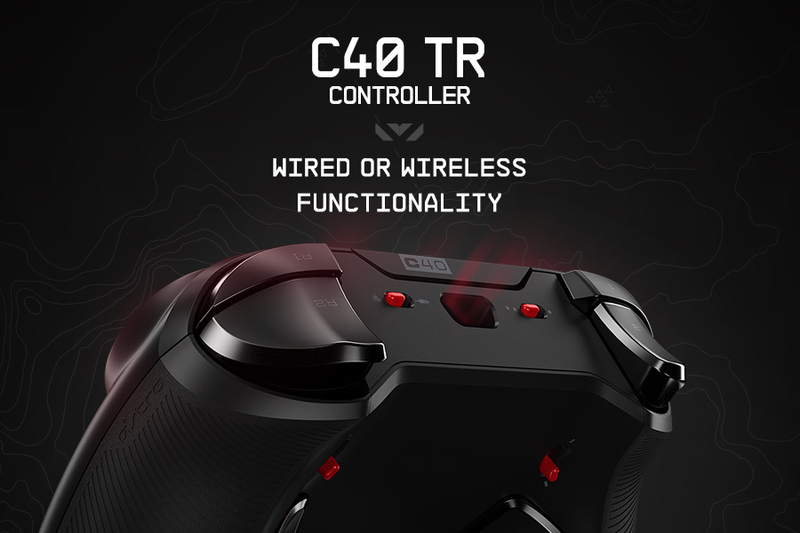 Q: Can the C40 TR Controller be used wired and wirelessly? A: Yes, the controller can be used in either a wired and wireless configuration on PlayStation 4 and PC. Wireless mode requires use of the included USB Wireless Transmitter. Q: How do I switch between wired and wireless modes? A: The controller’s Mode Switch, located to the left of the R1 bumper, is used to toggle between wired and wireless modes. See setup instructions above. Q: How do I change the module configuration? Using the C40 TR Tool, unscrew the 4 screws on the Faceplate of the C40 TR Controller. We strongly recommend removing the screws in a star pattern (ex: upper right, bottom left, bottom right, upper left). The screws will remain attached to the Faceplate. When swapping modules, ensure the red arrow located on the bottom of the module align with the red arrow located on the controller. Q: Are replacement caps available for the C40 TR Controller? Q: How do I program the mappable rear buttons? Ensure the Profile Switch is set to the profile you wish to remap (1 or 2). 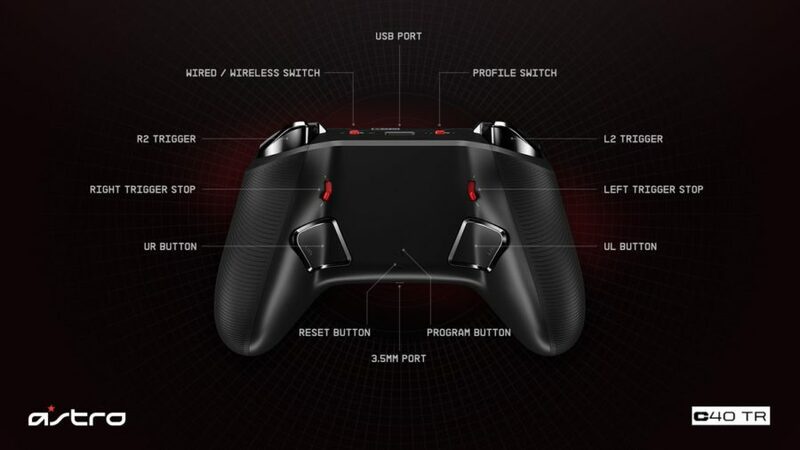 Press and hold the Program Button on the underside of the C40 TR Controller for 5 seconds. The LED Indicator light will blink white twice and the controller will rumble twice when it has entered Program Mode. Once in Program Mode, press the Rear Button (UR or UL) you wish to remap. The LED Indicator will blink white once and rumble once. Next, press the button you wish to map to the Rear Button selected (options that cannot be remapped: Option, Share, and PS Home). The LED will blink once and a tone will sound. By selecting the rear button again, it will unmap that button. Once the button is mapped, the controller will exit Program Mode and will rumble once to indicate mapping has ended. Select the profile you wish to edit from the profile drop-down menu. If on the home screen, click View Profile to continue. Navigate to the Mapping tab, which is the first tab in the C40 TR Configuration Software. Click on the button you wish to remap in the Default button list. Select the button you wish to remap to. Buttons that have been remapped will be highlighted in orange in the Remapping list as well as in the controller preview pane. Q: Can I remap buttons other than the mappable rear buttons? Ensure your C40 TR Controller is connected to your PC or PS4. Once in Program Mode, press the button you wish to remap. The LED Indicator will blink white once and rumble once. Next, press the button you wish to map to (options that cannot be remapped: Option, Share, and PS Home). The LED will blink once and a tone will sound. By selecting the same button again, it will remap that button to itself. Q: Can I have a button that is not assigned? A: Aside from the UL and UR buttons, buttons must have an input assigned to them when configuring in the C40 TR Configuration Software. Q: Other than UL and UR button inputs, is it possible for a programmable input to not be assigned? For example, could all programmable buttons be assigned to the same input (ex: all X’s)? A: Yes, any button can be assigned to any input; it is possible for some inputs to be unassigned if they are not bound to any button. Q: Can I remap multiple buttons to have the same input? Q: Can I set macros to the C40 TR Controller? A: No, the controller does not feature the ability to set macros. Q: What are trigger stops? A: The C40 TR Controller comes with Trigger Stops which allow you to adjust the trigger pull distance of the L2 and R2 Triggers. Position 1 (up) on the Trigger Stops shortens the distance of the L2 and R2 Triggers. Position 2 (down) is the default trigger pull distance. Q: How do I use the trigger stops? A: Position 1 (up) on the Trigger Stops shortens the distance of the L2 and R2 Triggers. Position 2 (down) is the standard trigger pull distance found on most controllers. These are adjustable at any time. 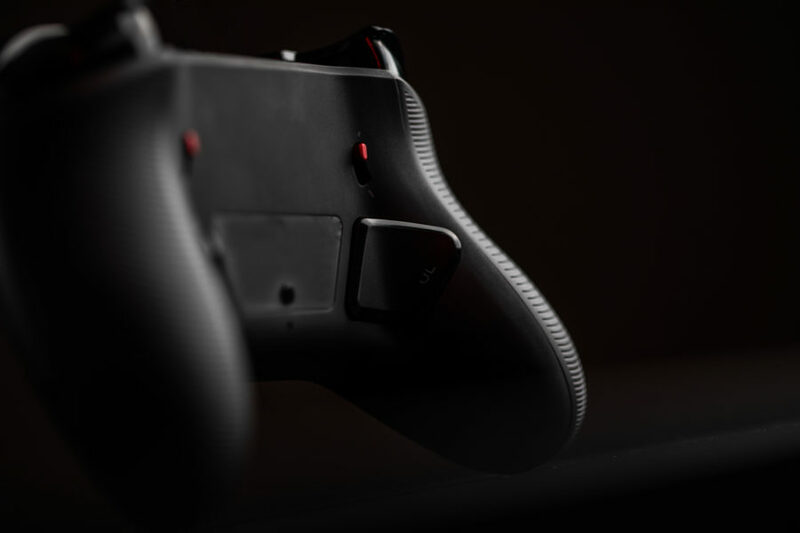 Once you’ve set your Trigger Stops, your C40 TR Controller is ready to game. Q: What is the small, indented button below the Program Button on the underside of the C40 TR Controller? A: This is the hard reset button, which can be used to manually reset your controller should it become unresponsive. Q: How do I switch profiles? A: The profile switch is located to the right of the L1 bumper and can be used to swap between one of two profile settings. These can be edited using the Program Button on the controller, as well as through the C40 TR Configuration Software. Q: How do I change the joystick caps? Firmly but gently pull upwards until the cap comes off. To replace the Analog Stick Caps, align the flat sides of the male and female connectors located on both the Analog Stick Module and Analog Stick Cap and push down until the cap snaps into place. Q: How do I change the D-Pad cap? Simultaneously press down on the bottom arm of D-Pad Plus Cap and pull firmly up on the lip of the top arm. When replacing the D-Pad Plus Cap (sold separately), ensure the red arrow on the cap is in the top position. To replace the D-Pad Disc Cap, align the notches on the underside of the D-Pad Disc Cap with the cutouts on the module. Press firmly into place. Q: Are additional or replacement caps available for the C40 TR Controller? A: Yes! Replacement caps will be available in early 2019 at http://astrogaming.com/accessories. Q: Will there be more cap colors and designs released in the future?